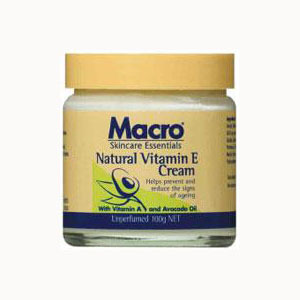 Macro Natural Vitamin E Cream is a product I have been using for years. My skin is naturally dry and just soaks up this lovely thick cream, it is the only cream which makes me feel as if my skin is truly moisturised. I use it all over my face and neck area and around my eyes. 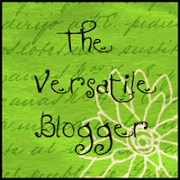 I love what it does for my skin, it was a real lifesaver for me. I have Systemic Lupus and about 8 years ago my skin started to flake on my face and no matter what I did, what I used, I could not stop the flaking and whenever I wore foundation it exacerbated the problem and made my skin look like I had a bad case of sunburn and was peeling. I was so embarrassed I had to stop wearing foundation and because my skin was patchy people would stare at me and I just didn't want to show my face in public anymore. I then started to use this cream day and night and all my flaky skin cleared up, the patchiness went away, the redness was calmed and I could start using foundation again. Today my skin looks really healthy and I have been told I look great for my age and how lovely my skin is. This cream contains Natural Vitamin E, Vitamin A and Avocado oil. It is a really thick cream but absorbs easily and leaves your skin feeling very soft and supple. I have never had any reaction, it cleared up all my blemishes, dry skin spots and it is fantastic in summer as a salve for sunburn if I am silly enough to get too much sun, with Lupus it is really easy to get sunburnt even with a hat. It is also great as a salve for dry lips and as a hand cream. This would have to be my most repurchased item and I have never found anything else that compares. It comes in 100g jars, the cream is unscented and it lasts a long time as a little goes a long way. Great value for money. I take this cream everywhere, it is the first thing I pack whenever I travel, I love this cream and I hope they never stop making it.